LightWerks partnered with Fortune 100 computer and printer mogel to create a customer experience room at their headquarters in Boise, Idaho. The space was designed for the unveiling of their latest state-of-the-art printer. Special guests flew in from all over the world to experience this new printing technology, which had not yet been made public. The printer, which has an msrp of approximately $250,0000, is one of the first printers having capability to print on multiple materials simultaneously. 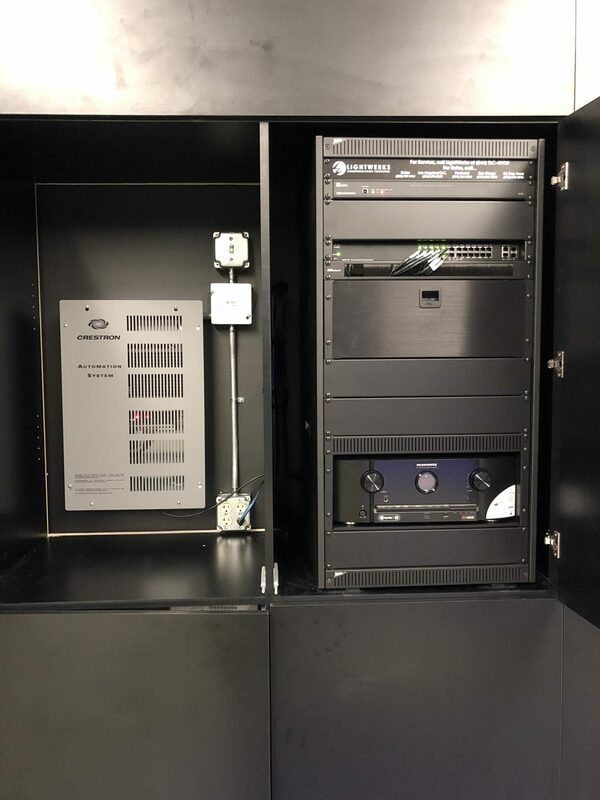 The project utilized a Crestron backbone for AV system control as well as a Crestron touch panel. The custom space also included a Panasonic projector, providing high-end video and an LG video wall, powered by Spinetix digital signage solutions. QSC speakers were integrated for audio and Lutron powered the lighting. The project also included a projector screen and curtain by RoseBrand, and a Middle Atlantic rack. The company created a specific video to enhance the interactive customer experience. LightWerks’ expert programmer designed a one-of-a-kind show control program that synchronized the AV with the real world in-room elements, creating a unique and exquisite solution for show control. 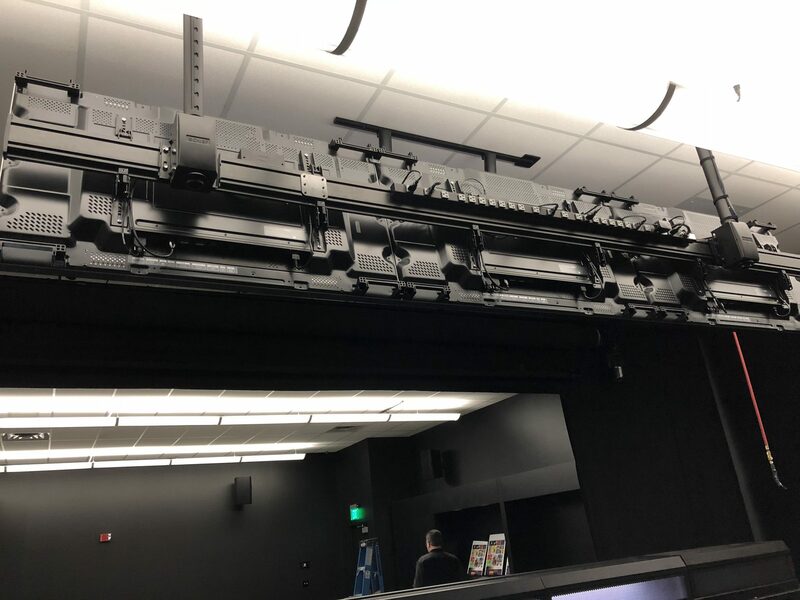 The programming perfectly aligned specific moments during the timeline of the video to AV functions within the room, including the drawing of a 32 foot scrim, revealing the printer to audiences. The synchronization between the video and room aspects also involved the activation of certain light zones spotlighting specific features of the printer. The video wall, projector, and audio functions, and projector were also tied to specific moments within the video. One of the most impressive features of LightWerks’ programming was that the printer’s specific material bays were activated during particular moments in the video presentation, creating a dynamic and interactive experience for the customers. Working on an extremely tight schedule, LightWerks successfully integrated the above technologies to deliver an impressive customer experience room for this client.